“Gen Xers are starting to move into management in many companies. Ages 26-37, they bring a leadership sytle distinct from boomers, who are now dominate top ranks but will leave in droves in the next 20 years. They’re often more practical and self-reliant than boomers. They take ideas from anybody, considering only if they work and how well. And they seek responsibility over projects, rebuffing micromanagement. Their downsides: Bluntness that ruffles the feathers of boomers. And sometimes a lack of discipline. They can have a tough time riding herd on poor performers or reining in subordinates who lack focus. See management potential in your Gen X workers? Groom them early. Give Gen Xers more clout now and chances are they’ll stick with you. The recession chastened them a bit, making them less likely to job hop. The Season of Peace Devotional has been published! Each of the one hundred messages include three discussion questions and a prayer. 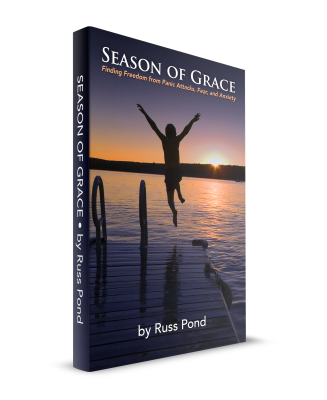 If you would like to order this devotional and help support Season of Peace Minstry, click this link. All donations and proceeds go back into the minstry to help reach those who are crippled and bound by fear, panic attacks and anxiety.